Jim Thorpe is a borough and the county seat of Carbon County in the U.S. Popular historic sites such as Grey Towers National Historic Site and Ephrata Cloister are in your itinerary. 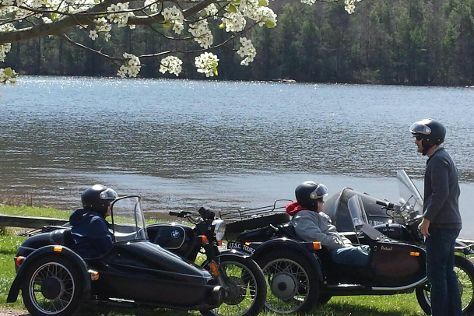 Explore the numerous day-trip ideas around Jim Thorpe: Longwood Gardens (in Kennett Square), High Point State Park (in Sussex) and Pennypacker Mills (in Schwenksville). Pack the 5th (Mon) with family-friendly diversions at Hersheypark. Spend the 19th (Mon) exploring nature at Delaware Water Gap National Recreation Area. There's lots more to do: steep yourself in history at Asa Packer Mansion, take in the dramatic scenery at Bushkill Falls, get in on the family fun at Knoebels Amusement Resort, and stop by Kitchen Kettle Village. To see reviews, where to stay, other places to visit, and tourist information, read our Jim Thorpe online day trip planner . In October, daily temperatures in Jim Thorpe can reach 68°F, while at night they dip to 45°F. Cap off your sightseeing on the 30th (Fri) early enough to travel back home.